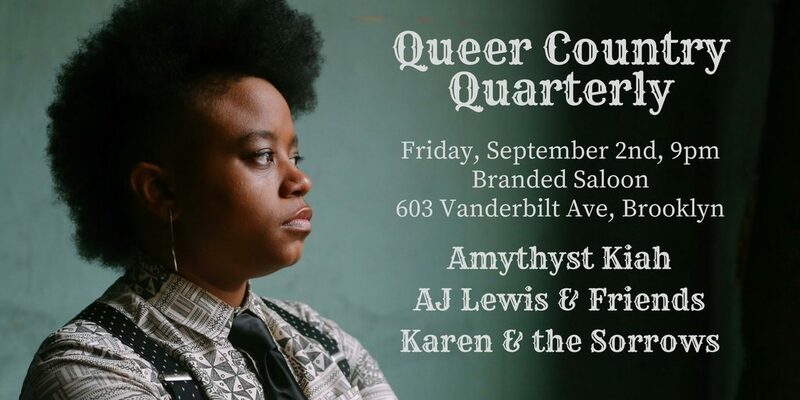 Save the date for the next Queer Country Quarterly! Dear cowpeople, don’t forget to mark your calendars for Saturday, December 5th. 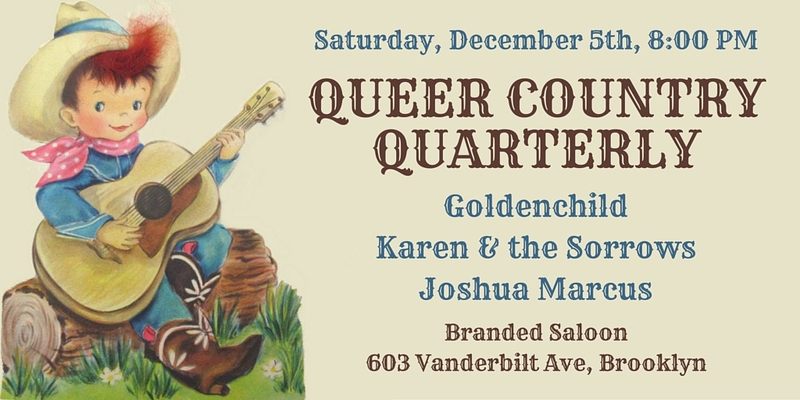 We’ll be back at the Branded Saloon for the winter edition of the Queer Country Quarterly with the wonderful Joshua Marcus on tour from Providence, RI. Plus Wiley Gaby’s band Goldenchild will be celebrating their brand new gorgeous cosmic country album Bridges. 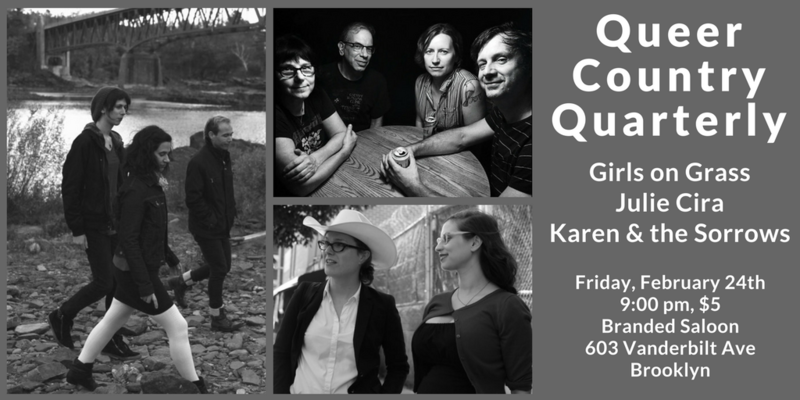 And of course your host Karen & the Sorrows will have some new songs for you. And maybe a seasonal surprise or two! In the meantime, c’mon out and see The Sorrows on November 6th at Rock Shop with our friends Tatters & Rags! 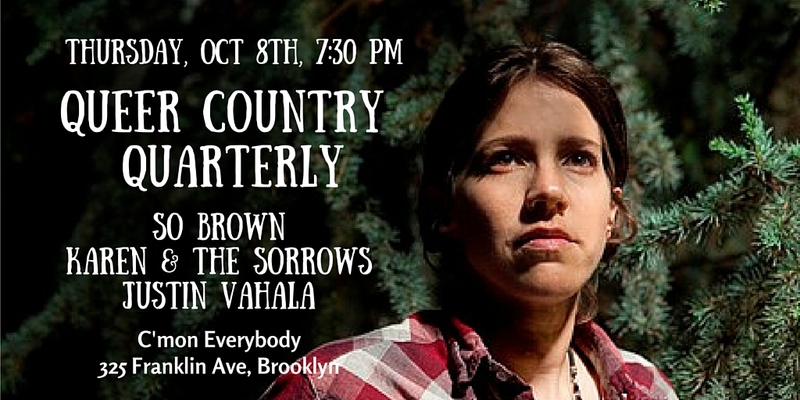 It wont’ be a queer country show, but it will be rockin’! Hello dear cowpeople! 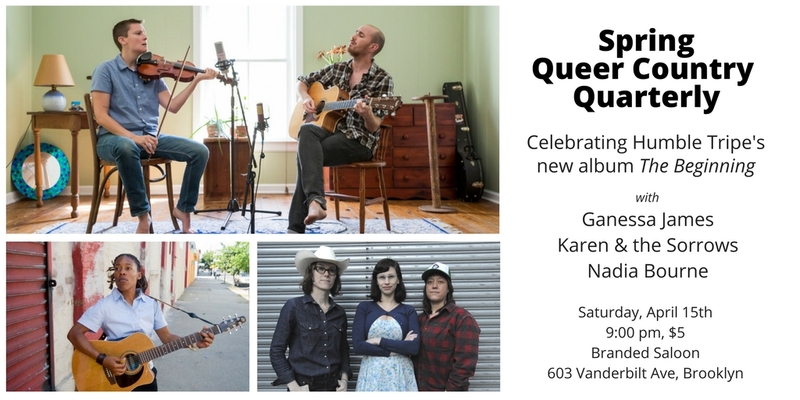 Hope you can join us at C’mon Everybody for some queer country magic! Justin Vahala, honey-voiced queer country unicorn, will open, starting at 7:30 sharp. Transgender love pioneer So Brown will steal your heart and then break it. 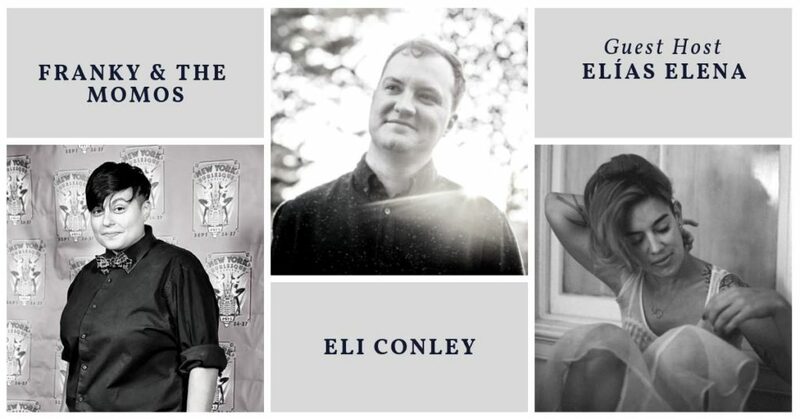 And your hosts The Sorrows have some brand new songs we can’t wait to play for you! Just when you thought we were taking the summer off, surprise! We are back for a special show! 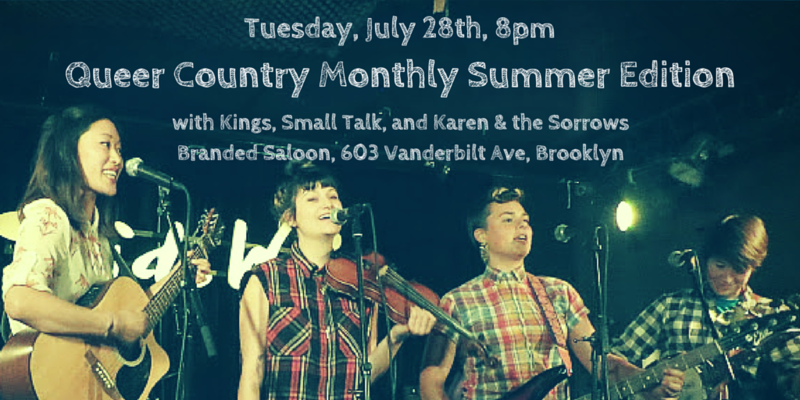 Come see Kings, Small Talk, and your host Karen & the Sorrows at the summer edition of the Queer Country Monthly.